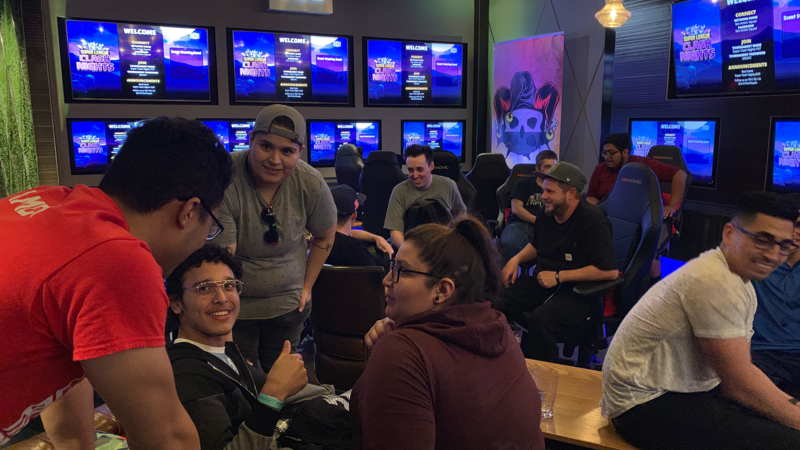 Last night, Clash Royale players in ten cities around the U.S. battled it out at Super League’s monthly Super League Clash Nights tournament! 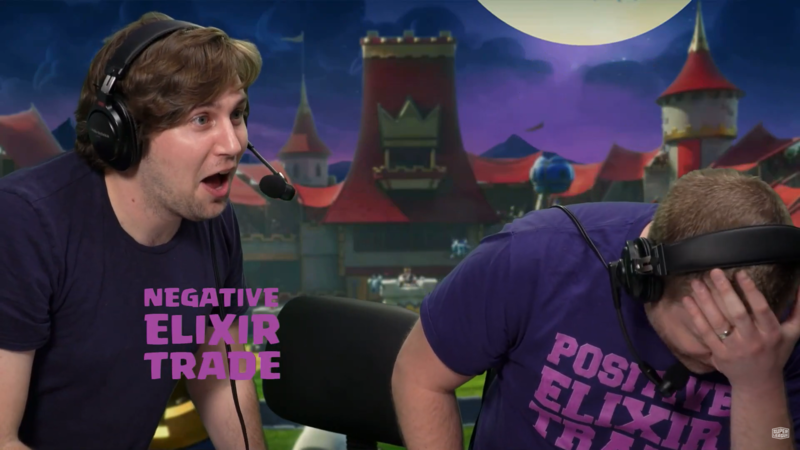 With the addition of new cities and Topgolf venues, appearance of never before seen finalists, and a showdown that left shoutcasters’ jaws on the floor, this proved to be Super League’s most exciting Clash Nights yet. 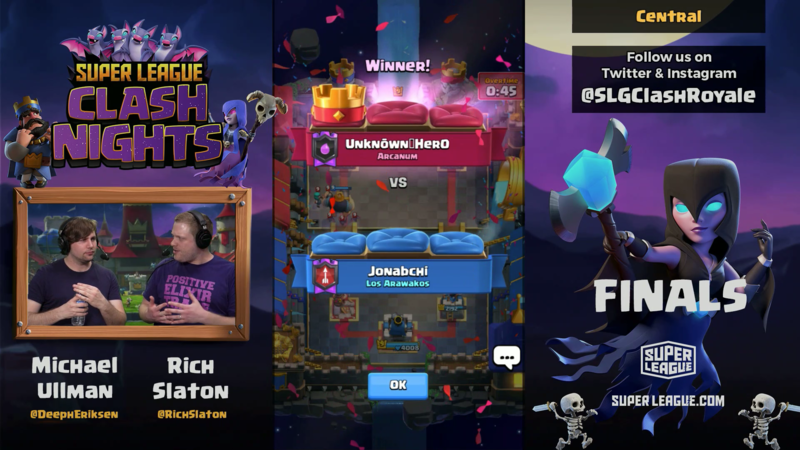 The night featured three regional tournaments divided into Eastern, Central, and Pacific Conferences, each of which were broadcast live on Super League TV by casters Michael Ullman and Rich Slaton of the Clash Royale League. 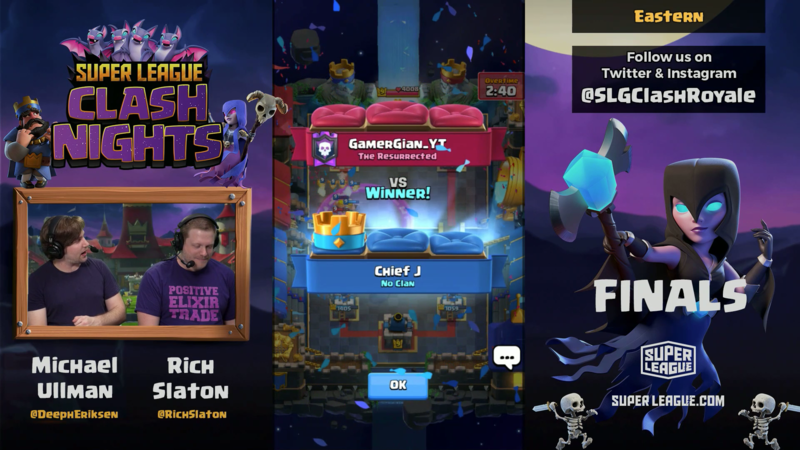 After ranking first and second in the first hour of tournament play Chief J, Professional Clash Royale Coach for NRG, and GamerGian_YT, Clash Royale YouTube content creator, battled it out in the Eastern Conference Finals. GamerGian_YT ran a Golem/Lumberjack Beatdown deck against Chief J’s Lava Clone in a best of three match. But in the end, Chief J took the W in overtime of game two, securing his first Super League Clash Nights victory and the title of Eastern Conference Champion. Over in the Central Conference reappeared Unknōwn Her0, four-time Super League Clash Nights champion and City Champs team qualifier from Houston, Texas. In the final matchup against Jonabchi’s RG Lightning control, Unknōwn Her0 ran a Miner Loon control deck and went 2-0 in the finals, securing his fifth Super League Clash Nights win. 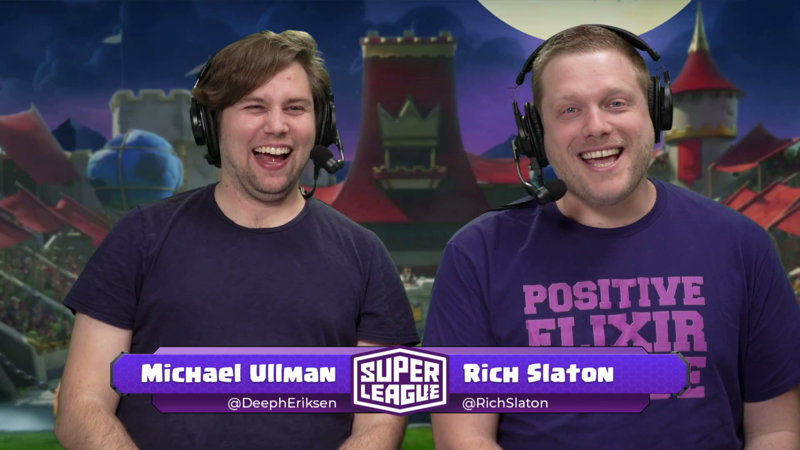 From there, a collection of players including Morty, 21savage, and Mordor (a regular at past Super League Clash Nights events in Denver) duked it out against each other and Rich Slaton live on Super League TV as Michael Ullman shoutcasted. The friendly competition soon came to a close as Pacific Conference players took to the arena. Several familiar faces soon made their way to the top of the leaderboard, including Ahkora, Fire Rocket, NoCandyOnlyWifi, and Blaze, NA Clash Royale Academy Captain for Tribe Gaming and record holder for most Super League Clash Nights wins. Blaze placed second in the ranking tournament with sixteen wins after David Prince, an unfamiliar newcomer who also finished with sixteen, before moving onto the Pacific Conference Finals. As the match began players and folks watching from home were confused to see not David Prince in the finals, but a player by the name Unstoppable. Casters Rich and Michael were the first to suspect that the player who had competed under the IGN David Prince was none other than Unstoppable of Outlaws Esports, winner of Red Bull MEO by ESL in 2018. The reveal was such a surprise that tournament staff ruled to restart the final match once they had confirmed that Unstoppable was, in fact, the correct player. 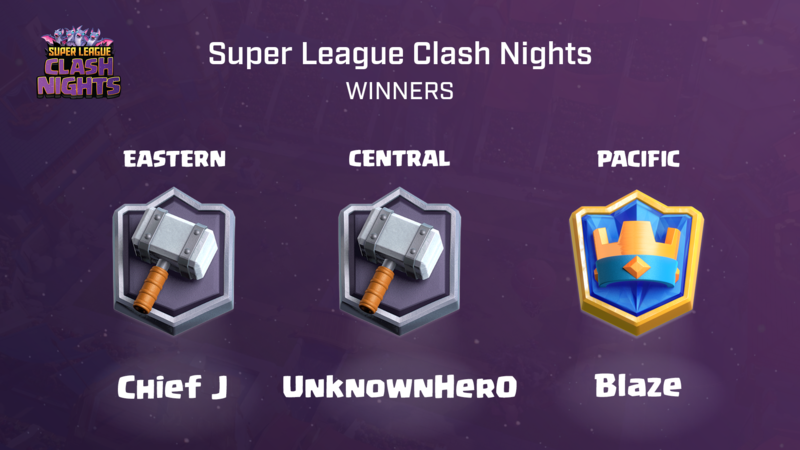 A huge congratulations again to our three Conference Champions Chief J, Unknōwn Her0, and Blaze, and a sincere thank you to all our players who together made this our most exciting Super League Clash Nights yet!